It's crazy! Fifteen-year-old Masi Burciaga hauls bricks to help build a giant pyramid in her neighborhood park. Her neighborhood is becoming more of a ghost town each day since the lard company moved away. Even her school closed down. Her family's bakery and the other surviving businesses may soon follow. As a last resort, the neighborhood grown-ups enlist all the remaining able-bodied boys and girls into this scheme in hopes of luring visitors. Maybe their neighbors will come back too. But something's not right about the entrepreneur behind it all. And then there's the new boy who came to help. The one with the softest of lips. 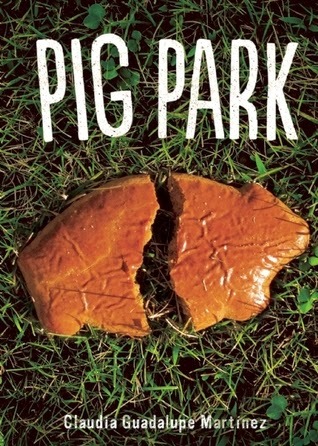 Pig Park is a contemporary Faustian tale that forces us to look at the desperate lengths people will go to in the name of community--and maybe love. Book Depository: Pick up internationally! 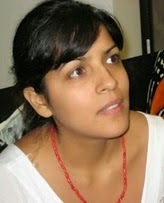 Claudia is the author of The Smell of Old Lady Perfume (Cinco Puntos, 2008) and Pig Park (Cinco Puntos, 2014). She grew up in sunny El Paso, Texas where she learned that letters form words from reading the subtitles of old westerns with her father. She now lives and writes in Chicago. 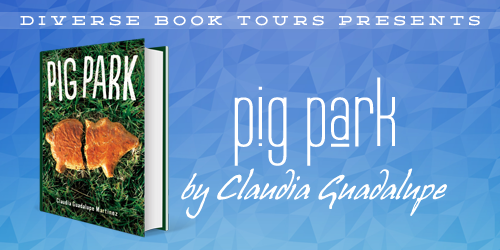 Pig Park is not about what it sounds like, pigs. Instead, a fun book about part of a city that had been mostly forgotten about due main company moving elsewhere and the antics of what they are going to do to get noticed. The other people and the stores in the area along with storyline make this book fun and entertaining. I am giving this 4.5/5 however it will need to be raised up in the stars to show a five star rating.